When I began running a lot more this year, I wanted to be able to participate in a Turkey Trot on Thanksgiving. Unfortunately one wasn't happening near where I would be on Thanksgiving. 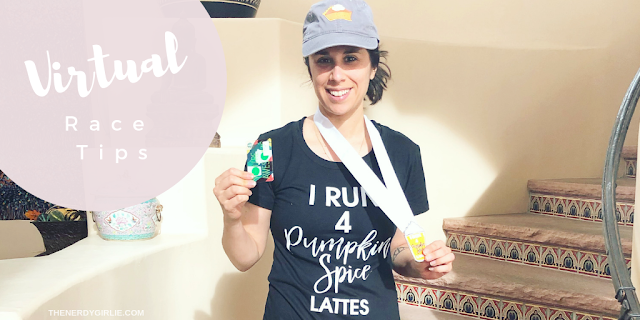 BUT fortunately, I was able to find a Virtual 5K....I Run 4 Coffee saved the day and here is how to get your virtual 5K on! 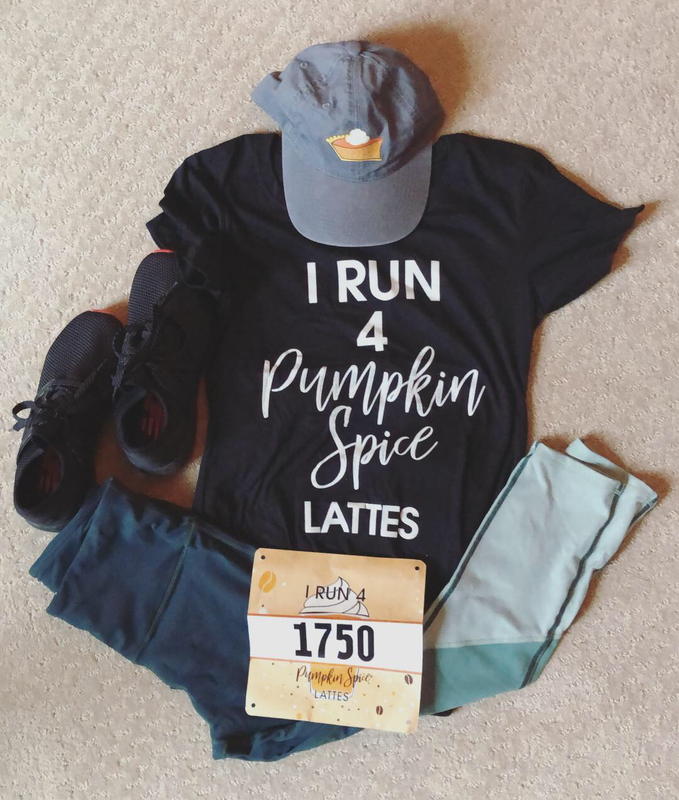 I found I Run 4 Coffee's Pumpkin Spice Latte 5K, like I find a lot of things...on Instagram! And as you can guess, its theme was right up my alley! Since I knew I wanted to run on Thanksgiving, it was the perfect alternative to running a typical race. Right away I headed to their website to sign up. I LOVED their swag! An I Run 4 Pumpkin Spice Lattes T-shirt, you a fun bib to wear and a medal! I LOVE medals, it is one of the main reasons I run! LOL! PLUS you get a Starbucks gift card to go get a PSL after you complete your run! It is Thanksgiving day, I wake up and put on my T-shirt and bib and it is off to the races. This race will be completed on a treadmill because that was the easiest option for me. But if you can get outside and it's nice...get out there!! 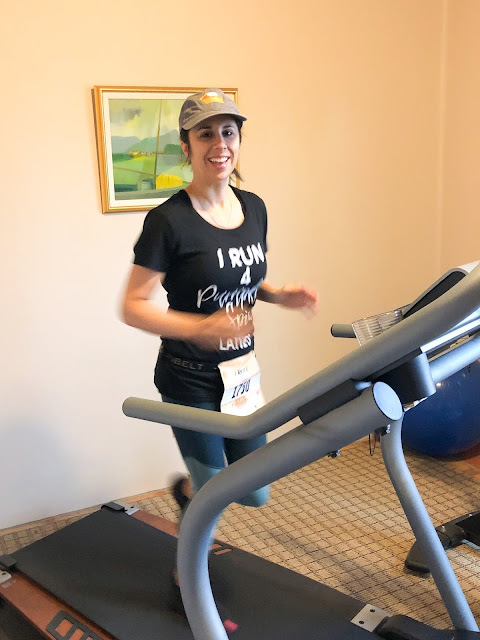 While I run, I like to either listen to a podcast (they usually have a good time frame for me to finish), listen to music, watch a short TV show, or most recently just focusing on my run and making it a priority. This run I watched the Thanksgiving Day Parade...I LOVE that tradition! Once you finish the 5K, it is time to celebrate! It is Thanksgiving after all...I think I might be wearing my medal all day + getting a PSL! The most important thing about a virtual run is accountability. Sign up with a friend and share it on social media! 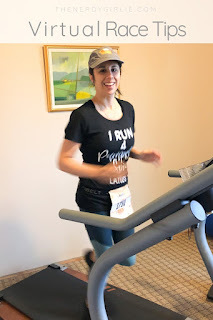 I love running races and the I Run 4 Coffee Virtual Run gave me time to focus on my own pace, what was best for me and not worrying about others around me! Join me from now until the end of the year by signing up HERE!